At the ER hospital pharmacy I shared my experience with rapid inflammed prostate due to switching from olive oil to sunflower oil, not knowing sunflower oil is 70% omega 6 fatty accids. I've updated him as of today two more times. Today I shared how my first taking cold-milled flax seed flour completely relieved 100% of prostate pain in the first 6 hours, and after a week the pain has not once returned. He is a common sense guy and is taking a keen interest in my experience since the "normal" American diet has 16:1 omega 6:omega 3 fatty acids. Ancient peoples who ate raw, unprocessed foods including grass-raised beef and pork and poultry and wild-caught meets, milk, eggs and fish had a range of 1:4 to 4:1 omega 3:omega 6 fatty acids. The immune system uses omega 6 to inflame damaged and diseased tissue to isolate it from healthy tissue as it either heals or dies off to be eliminated as dead cell tissue. The immune system uses omega 3 to sooth healthy tissue to maintain its normal blood flow that keeps nutrients flowing freely to it. One major cause of malignant cell creation from healthy tissue is omega 6 inflammation which cuts off nutrient flow. Cancer is one form of this malignant cell creation, and omega 6 has been specifically linked to forms of cancer cell creation. 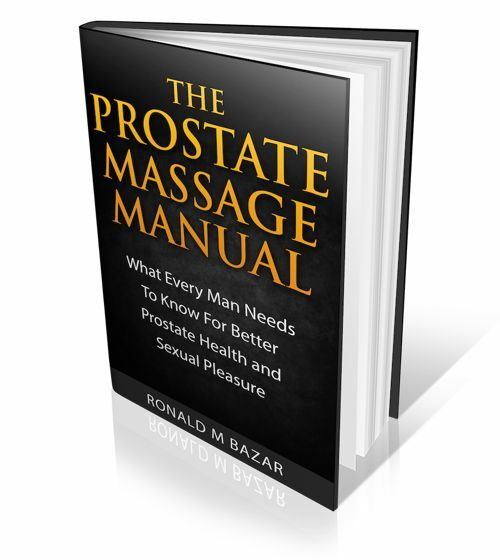 Therefore, my profound interest to discover any and all proven natural nutrition knowledge for healthy prostate maintenance. You, Ronald, along with a few other natural nutrition prostate health advocates with proven knowledge for healthy prostate maintenance, make my quest possible. There is one question I have. Maybe you can give insight? 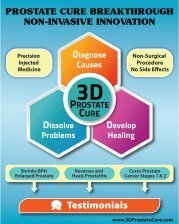 The ER hospital is focused on unnatural Big Pharma "solutions" to prostate disease. But they put the catheter in me, and now I know of no way to determine when it is safe to remove it, or to test when to remove it. I feel dependent on their Big Pharma-focused and very expensive Urologist to determine the catheter removal. They also insist I get medical insurance. I cannot afford to buy groceries and pay insurance - my retirement is far too little. Do I just go on my own and "hope" my bladder and prostate will permit healthy urine flow and be ready to re-insert the catheter if not? (I did get the catheter back inside when I removed it on my own a few days after first inserted. My system was still not working and my re-insert did not allow urine flow for some reason the ER nurse refused to explain. She sternly told me I was never to try self insertion! With online info from men who routinely use catheters at home, I now totally disbelieve ER people! They are like revenue cops - just a bunch of trained apes who routinely harass hurting people with high fines and other expenses their owners make tons of money from! You must optimize all aspects of your diet and learn to personal test. Omega 6s in excess are just one of many possible culprits that can trigger shut-down. Phytic acid, nightshade family foods and other anti-nutrients can sometimes be very problematic as can even simple kale! It all depends what your body needs and can tolerate in the moment.